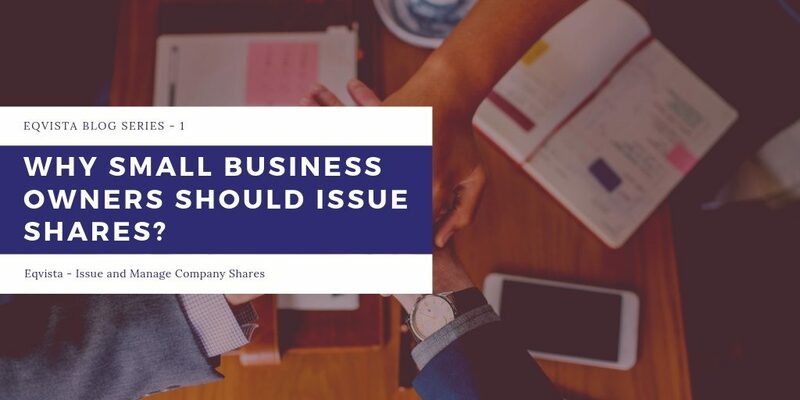 Why small business owners should issue shares? Have you just incorporated your business or are you about to start a new one soon? Well, having a business brings in a lot of responsibilities and activities that run with the help of capital. Without capital, your business would not be able to operate and become successful. And if you are a person who does not have the funding needed, it would be important for you to get some outside capital. Outside funding is obtained from investors who ask for shares of the company in exchange for capital. Just ensure that your company is a corporation or have the entity type converted, so that it would be easier for you to issue and manage shares after obtaining funding from outside investors. Basically, a corporation is the most suitable company structure to choose for your business as it helps a lot in raising capital. A corporation is owned by its shareholders, where the shareholders can change over time. This means that a corporation would exist forever until it is dissolved, regardless of if the owners and board members change or not. With this, corporations issue shares to investors for many reasons. These reasons are obviously advantageous for both the investors and the company. In a corporation, shares are issued to the founders of the company (also called shareholders of the company) to record their ownership stake in the corporation. There are a few corporations that on their incorporation issue equity shares to the founders in exchange for the services they would offer the company. These are shares offered at no cost or at a cost that is below the fair market value (FMV). After joining and working to grow the company, founders normally then contribute cash for the shares to give more capital to the company. This means that they add in more money to cover all the costs of the operations and startup for a time until the company begins to earn a profit. So, issuing of shares begins right from the beginning when a corporation is incorporated. As soon as the company starts, the founders can only give so much money to the business. But it may not be possible to cover all the costs and expand the business. That is when the company needs to get more cash to offset the startup costs. To get the investment, the company would have to offer the shares to investors who are ready to fund the company. Many startups usually offer shares to outside investors so that they can raise more money to expand and grow their business. The best thing about offering shares is that it does not require any repayment like debt or loans from banks. So, it is better to offer shares rather than to put your company under the stress of paying back loans. Moreover, equity strengthens the balance sheet. This means that the lenders prefer to see the debt to equity ratio of one or lower. In short, it is not only a safe way to grow, but also a smart way. Another way to obtain funding for a startup is by taking the help of family and friends. And the best way to take their help is by giving them shares instead of paying back loans. This would make them happier to offer you with help since they know that they would be able to earn from the company when it grows. They would support you, and the best you can do for them is to give them shares, as you issue and manage the shares of your company. How you can issue shares? Let us use a case study to understand how you can issue shares better. A founder named Lien Jo decided to start an online marketing company with the skills he possessed. But he did not have the funds to register his business or rent a place for his business. Hence, he took help from his family to give the business a kick start. Initially, he needed just $5,000 for starting and running the business for 6 months. He asked his uncle for help in exchange of equity for his company. His uncle happily agreed to it and gave the amount Lien needed. But after 6 months, the company didn’t start earning profits and Lien needed more help since he wanted to hire employees and expand the place. This time, he could not ask help from his family again. After some searching and asking around, he met an investor (angel investor) who liked how ambitious Lien was and his plan for the business to grow further. He was about to get an investment of about $20,000 for which he offered shares to the investor. The cost per share of the company at this moment was 0.1 per share. So, the investor was offered with 200,000 shares to compensate the amount he offered the company as funds. Now, since Lien didn’t have to pay anything back to the investor, all the money was used for growing the company. This also helped Lien to focus on the company instead of focusing on giving the amount back (which he would have, if he took up a loan instead). Thanks to both the investments that Lien took up by offering shares in exchange, the company began to grow after a year and the share price became $3 per share. This didn’t just help Lien and his company; this growth and increase in share price was good for the investors as well. In short, Lien did a good thing when he decided to issue and manage shares instead of taking a loan from the bank. This helped him a lot and made his company reach to where it is now – he went from 0.1 per share to $3 per share in just one year with the right investment. The best thing about issuing shares instead of taking a loan is that even if the company fails, Lien wouldn’t have had to pay anything to the investors from his personal amount. With the above case study, it can clearly be seen how important it is for business owners to issue shares. It would help you grow faster and better, without worrying about debt for the company. So, if you have just begun your journey as an entrepreneur with your new startup, then you should consider to issue and manage shares to enjoy the benefits that it offers. And as you issue shares, you would need a way to keep track of it and manage the shares easily. 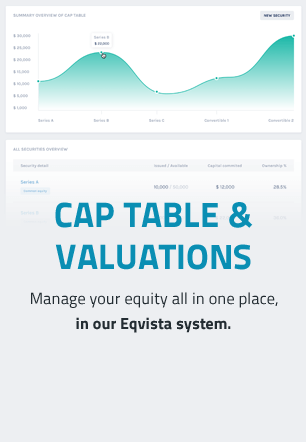 For this, the Eqvista app is the right one for you. It is a FREE app that would help you manage all the shares of your company in one place, issue the shares electronically, and stay compliant to any equity law. Join the app today!